Methane is an important greenhouse gas that can cause global warming. The present concentrations of methane are nearly three times higher than several hundred years ago. Today, more than 60% of the atmospheric methane comes from human activities, including rice agriculture, coal mining, natural gas usage, biomass burning, and raising of cattle. Methane affects the stratospheric ozone layer and the oxidizing capacity of the atmosphere, which in turn control the concentrations of many man-made and natural gases in the atmosphere. 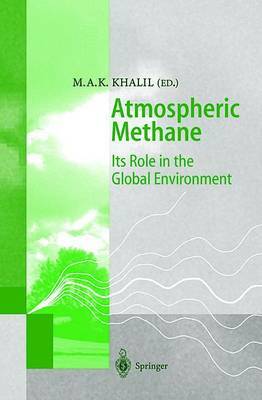 This book brings together our knowledge of the trends and the causes behind the increased levels of methane. Based on the scientific information on the sources and sinks, and the role of methane in global warming, strategies to limit emissions can be designed as part of a program to control future global warming.